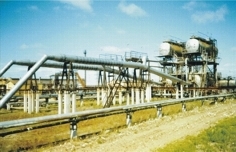 The Haryaga-Indiga oil pipeline system is designed for the export of crude from Timan-Pechora oil province to ports in Western Europe. 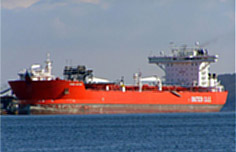 The offloading takes place at an Oil Export Terminal in Indigskaya and Cheshskaya inlets of the Barents shore of Russia. The route of the pipelines crosses an area notorious for its challenging climatic, nature and geotechnical conditions. 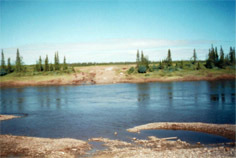 The area that was under the environmental study is extensively waterlogged. 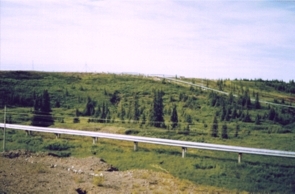 There are fairly large sections covered by permafrost soil. A lots of areas that the pipelines were to cross had rocks and landslides.